Director, Ruth Lewis is a teaching artist listed on the CT Teaching Artist Directory. She teaches choreography and movement for experiential learning. She was the recipient of the CT REGI Grant in 2016, 2017 and 2018 where she taught social justice at Simpson Waverly Community school and Fred Wish Museum School with fellow teaching artist Alika Hope. The photo above was taken during the teaching artist collaborative We Rise: Social Justice through the Arts with teaching artist Alike Hope and Ruth Lewis. 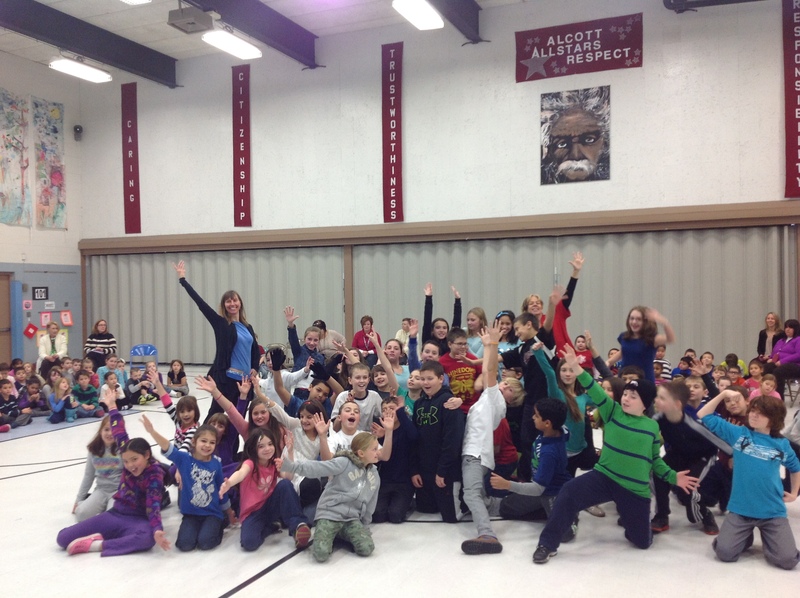 CT Teaching Artist, Ruth Lewis taught Motion and Sound through choreography and dance to these 4th and 5th graders at an elementary school in CT.